Ok, just about everyone knows that using cold or cool water and full loads to wash clothes saves money. It takes energy to heat water to wash. It takes energy to run the washer. I can’t afford the new energy saving front load machines. $2 or $3 thousand is just not in my budget. I have a new older type top load machine. A few months back I was traveling down memory lane about my youth and how one of my chores was to do laundry…. by hand. It was always easier to wash the clothes if they were left soaking for awhile to loosen the dirt. Farm dirt is hard to get out. In order to save money, when doing my laundry, I fill up the washer as usual but set it for the short cycle. 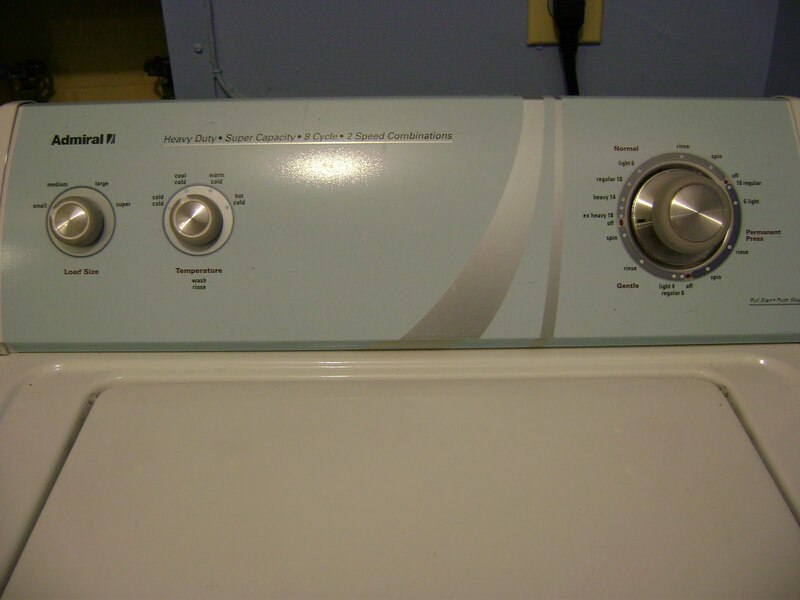 (not the gentle cycle) As soon as the machine starts agitating I turn it off and let the clothes soak for awhile. This can be tricky because I might forget the washer has clothes in it. A few days of soaking and the smell of sour clothes might remind me. Eeewwww. I have a kitchen timer that I wind and set for an hour. I take the timer with me to my studio or the kitchen or wherever I plan to be working so I can hear it. When the timer goes off, I go start the washer. Sometimes, just to be different, I will load the washer at night before I go to bed and start it in the morning. I make myself a reminder note and stick it on the bathroom mirror. Soaking the dirty laundry works in the same principal as soaking a very dirty pot. If you let it soak, the food softens and it’s easily washed out. Using the short cycle for laundry saves electricity. Soaking the clothes loosens the dirt and makes it easier to wash out. A few pennies might not seem like a lot of savings but every little bit helps. If you do tons of laundry each week, the savings will really start to add up. This entry was posted on November 16, 2009 by Anita in ENERGY SAVING IDEAS.